JERSEY BOYS Broadway is going out with a bang! For the week ending 1/1/17, JERSEY BOYS broke its own box office record, grossing $1,778,189! The previous record JB broke, was back in the first week in January, 2010–when the show grossed	$1,440,456. For full Broadway grosses for the week ending January 1, 2017, visit BroadwayWorld.com. For more details and analysis of the amazing week at the Broadway box office, visit Dateline.com. I am battling cancer for the second time in 8 years. The battle does not go well. Jersey Boys is one of my very favorite things! I have seen the movie more times than I can count and I watch every clip relating to JB that YouTube has to offer. It has made my endless rounds of chemotherapy and my long hospital stays more bearable. My dream of dreams has been to see the show on either Broadway or the West End. After two long cancer battles, money is almost non existent and now Broadway is closing. My dream will never be realized. I guess it’s time for this old firefighter/paramedic/veteran of Hurricane Katrina to just fade away. 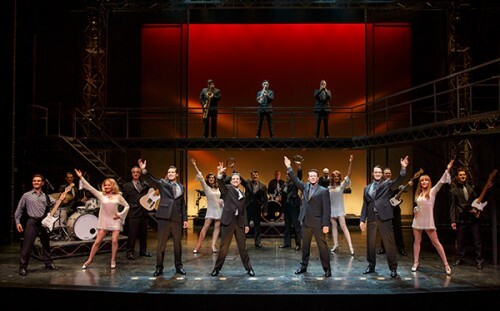 Congratulations and God speed to the Jersey Boys family! YOU were the best! Joyce, I don’t believe the venue is holding seats back for the final performance, given the huge demand from those involved with the show in so many ways over the years. The high prices, as I understand, are from those who bought tickets (and likely do this as a job) and are reselling them at incredibly inflated prices. I really don’t think anyone professionally involved with the show or the producer is responsible for the price gouging. I’ve always had good interactions when buying group tickets from Dodgers. They were priced normally on ticketmaster at the beginning, but QUICKLY sold out. Now unfortunately, we’re left with the resellers. I’m so sorry for your predicament!